Planning a new concert on August 28. For all of you in the Kentucky area, come on out! 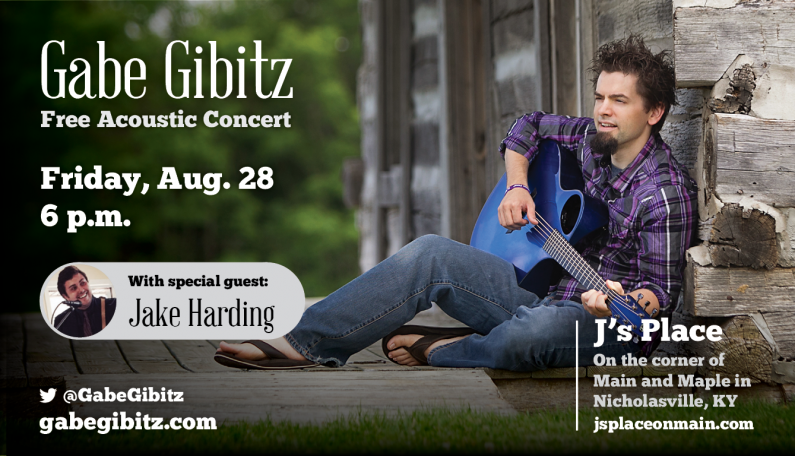 Show starts at 6 p.m. with Jake Harding opening for me. It’s sure to be a good time.